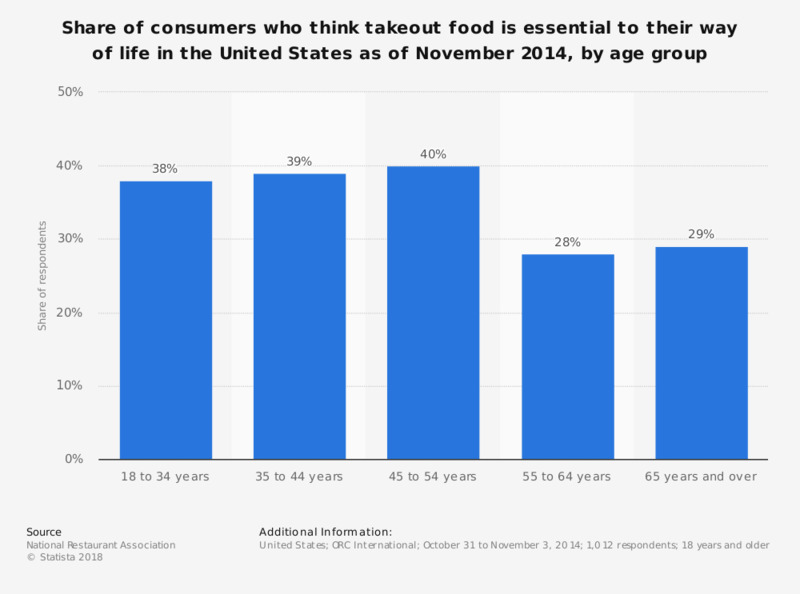 This statistic shows the share of consumers who think takeout food is essential to their way of life in the United States as of November 2014, by age group. During the survey, 40 percent of respondents aged between 45 and 54 years said they thought purchasing takeout food was essential to the way they live. What kind of dishes are you going to offer on Easter Day?